Call us for any project – we give free estimates! 320-864-4243. Masonry is one of the oldest trades known to mankind. The precision and skill required for a true mason have been passed on from generation to generation since the days of the great pyramids. 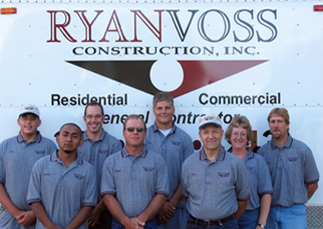 Our crew was trained by the Dubisars and others in the mason business locally since the turn of the century. Along with old trade secrets, we also benefit from the latest technological advances in the concrete industry. Ongoing education has helped keep us knowledgeable on the best practices in concrete and block products and installation. And yet with all that background, it is inevitable that in our climate of extremes there are certain times and situations that can cause failure - even when doing our utmost to avoid it. We strive to make your home built on the best foundation possible in this region, and will address any concerns that could arise. Along with the foundation, we also install driveways, patios, curbs and other masonry projects as they present themselves. Let us help you with your next project. We also have full excavation services to compliment the masonry work. Good time to build - AND receive over $ 6000 in new home building incentives!